The SX-88H is a high-capacity Level 3 crosscut shredder combining fully-automated features with the rugged industrial strength needed for high volume centralized shredding. 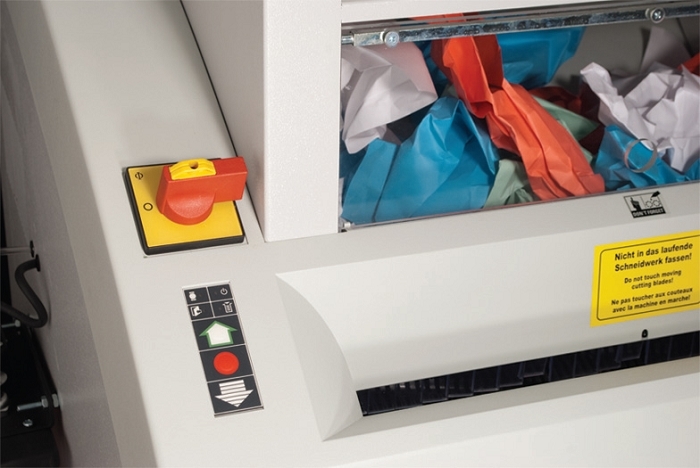 Two separate feeds offer flexibility to shred a variety of media. The Hopper Feed has a rotating bin to accommodate batches of crumpled paper. Simply dump your waste bin into the hopper, even while the shredder is running. The standard front input feed handles paper, entire files, stacks of computer forms, cardboard, tapes, ribbons, credit cards, CDs/DVDs and USB flash drives. 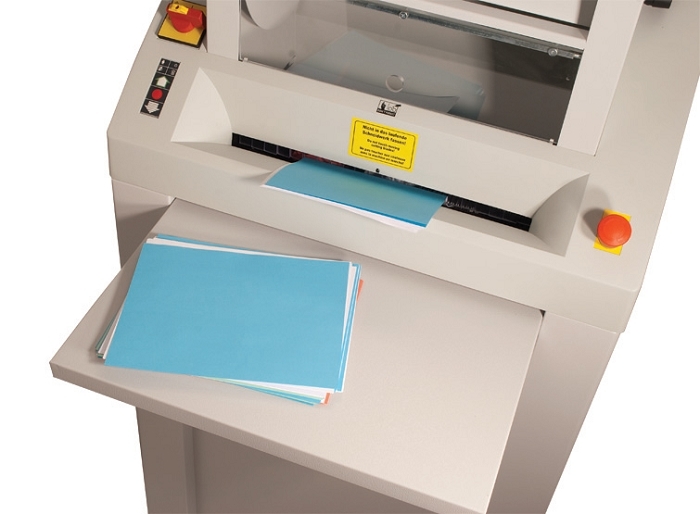 The SX88H is powerful enough to shred up to 80 sheets of paper in a single pass. Its features include an LED control panel and an Auto Oiler which oils the cutting blades for optimal performance. The solid steel cutters are heat treated and specially ground for longevity and minimal oiling and a powerful AC-geared continuous duty motor with heavy duty chain drive for high performance and non-stop operation. Thermal Overload Protection and a Large Emergency Cut Off Switch ensure safe operation. Also features Auto Start/Stop or Manual Operation, Door Safety and Bag Full sensors as well as an Auto Reverse anti-jamming control. The power switch can be secured in the off position with a padlock to ensure the shredder is operated only by authorized staff. 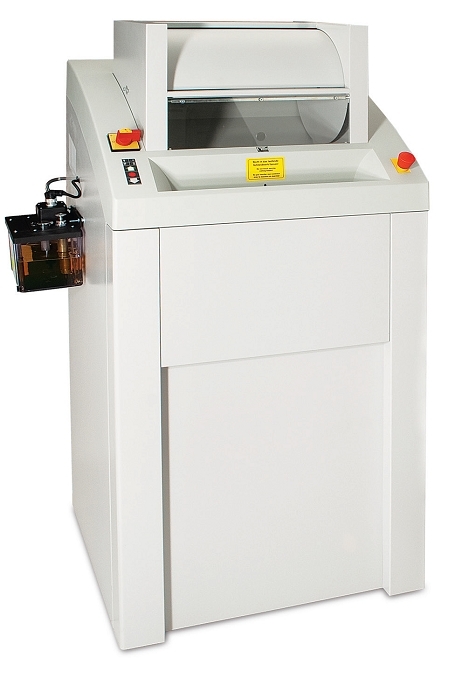 The Front Waste Bin access allows the shredder to be placed against a wall to maximize space. The Mobile Waste Bin on casters and reusable bag make emptying the shredder a breeze. A convenient shelf pulls out for easier feeding. Lifetime Limited Warranty on cutting head.